As a podiatry specialist serving Weatherford and Richland Hills, Texas, Dr. Charlton Woodly and Dr. Asia Jackson with Woodly Foot & Ankle treats all forms of problems that affect the foot and ankle including a common issue many people face – flat feet. The doctors examine the arches and determines what care plan will offer the most support. The goal is to make changes that help manage fallen arches, so patients can live their lives comfortably and without injury to joints. Flat feet, often listed as flatfeet, simply means feet without the arches found in most individuals. All babies are flat footed. The arches develop as the child grows, but for a few people that never happens. It’s unclear why some feet fail to arch, though. Not all flat feet are due to developmental issues, either. In some cases, the arches simply fall after an injury or perhaps from the stress of age. How does Dr. Woodly treat flat feet? Currently, there is no cure or surgical correction for this condition. Many of the treatments that other providers prescribe may only help alleviate your symptoms. Dr. Woodly works with a groundbreaking treatment called HyProCure® as a permanent, minimally invasive option that corrects flexible flatfoot or talotarsal displacement. As one of a few “Master Hyprocure surgeons” in Texas. Dr. Woodly can perform the procedure under an aesthetic and often in the office. Generally speaking, no, many people live their whole lives with flat feet and experience no pain or disability from it. The problem is the body needs to compensate for that lack of arch and that can put stress on the ankles and other joints. The key to managing the potential complications is the treat the flat feet. Dr. Woodly’s role for patients with flat feet is as much preventative as it is therapeutic. What are the signs of flat feet? Some people go their whole lives without realizing that have no arches. Others will experience foot pain around the arch or heel. The pain will get worse after a day on your feet or exercise. You may notice some swelling along the inside of the ankle, too. 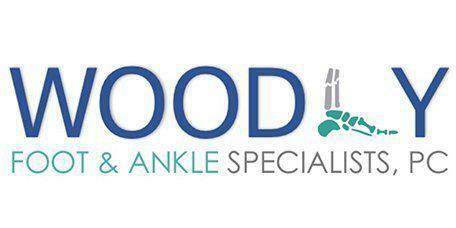 A podiatrist like Dr. Woodly can examine your feet and determine whether you have an arch, as well. Are there risk factors for flat feet? Being clinically obese can put stress on your feet and cause the arches to fall. It sometimes occurs with diabetes, as well, or if you have an injury to your foot or ankle. Flat feet can be a normal part of the aging process, too. Can you prevent fallen arches? As part of your podiatry visit, Dr. Woodly will go over your risk of fallen arches and discuss preventative measures you can take to prevent this injury. This might include losing weight, stretching your feet and choosing protective footwear.